Hidden In France: Can you de-googlize yourself? I have been trying to reconcile my real life with my top secret blogging life. In one I'm anonymous and get to stay up all night, jump on the bed, have pillow fights and write all kinds of nonsense. In the other I am public, still unable to contain the nonsense but at least I get to control who hears the nonsense. In blogging, I feel absolutely safe because of the overwhelming love and support of the community. You guys don't simply support me; you carry me. Real life isn't always this kind. At the same time I have acquired quite a bit of self-confidence with age, or rather a sense that whatever my imperfections are, from zits to wrinkles to that foot in my mouth, I'm probably all right as human beings go. But mostly it's through blogging that I have discovered the elation of being read, of connecting with like minded fellas instead of waiting for the Gods of Publishing to descend upon Earth and find me . So partly thanks to wrinkles, and partly thanks to Blogging, I've been getting ready to this thing that will change thing forever: have my real name goolgleable. And once you're google-able, I'm not sure you can be de-google-ized. Getting a Facebook page is making things more complicated, or precipitating things I'm afraid. I opened a Facebook page last week in the hope of reconnecting with long lost people of my childhood. None have showed-up so far but already some of you have found me, so I'm beginning to wonder what in the hell I'm doing stressing about making the blog life and the real life so distinct and disconnected. It's a bit like having two separate secret love affairs at a time when the rest of the wold has embraced polygamy, no? Here is one of the whys: I have no problem with my friends and family knowing about my blog (and I can even handle them not speaking to me because of it,) and I have no problem with strangers and bloggers discovering it. But it kills me that some ice cold women of the PTA i recently insulted (but in a subtle way) or that creepy neighbor down the street could google me and get to know my innermost goof-offs. One solution would be to make my blog less personal or less controversial. But the thing is, it would feel like such a terrible loss. I've dealt with issues of freedom of speech and self censorship before and i didn't like it one iota. The irony is, I'm a writer. I write fiction. Nothing is truer than Fiction. Fiction means that each one of my character is the deep-seated me, the loathsome me, the murderous me, the treacherous me. Also the horny me: each scene involving something rather intimate between a female and an (irresistible) male, you can bet i joyfully pictured myself as the female, (and the male?) Each situation my characters face is a situation I have imagined myself being in, each witty come back is one I wished i had been able to come up with in real life. What could be more transparent than writing fiction? I have been seriously thinking of self-publishing my first novel. I thought of an e-book or something on paper. I will probably been tapping at your doors begging for help in spreading the word. But first I have to reconcile it all. My conflicts about 'coming out' as a full-on public person, and all the humiliation and failure this will inevitably represent. I guess this is about guts. Gut's to try, guts to succeed or fail, gut's to let myself be exposed in a way that might not feel safe. I hope I can do all this. I wonder if I should. How do you reconcile things? Do you? So you think you have what it takes to be an audiobook reader? 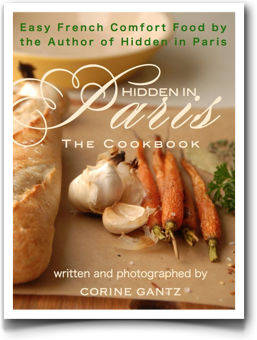 Hidden in Paris as an audiobook! 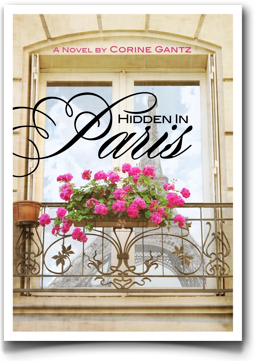 Una Habitación en París is Hidden in Paris in Spanish!